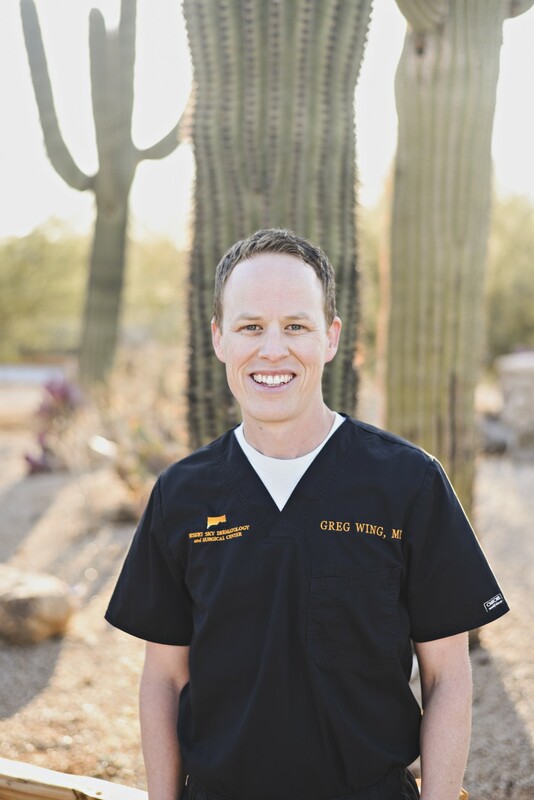 Dr. Wing is a board certified dermatologist in Gilbert AZ who earned his bachelor’s degree in Neuroscience at Brigham Young University. He went on to receive his medical degree from the University of Colorado where he was inducted into the prestigious Alpha Omega Alpha Honor Society. Dr. Wing completed his Dermatology residency at the University of Colorado and served as a chief resident at various clinics including the Denver VA Hospital and The Children’s Hospital. Upon completion of his residency, Dr. Wing was selected to be a member of the Gold Humanism Honor Society for exemplifying professionalism and patient-centered care throughout his training. After finishing his residency, Dr. Wing completed an additional year of fellowship training in dermatopathology at the University of Texas Medical Branch in Galveston, Texas. Dr. Wing is dual certified by both the American Board of Dermatology and the American Board of Pathology. He has experience treating patients of all ages and skin types with an emphasis in general dermatology and skin cancer surveillance. He has published several journal and textbook articles related to the diagnosis and treatment of melanoma and non-melanoma skin cancer. Dr. Wing is also fluent in Spanish. Outside of work, Dr. Wing loves playing tennis and spending time with his wife and three children.